They are high corrosion and wear resistance and strong impact resistance and delivers 10 times longer working life than metal rod / tube. Zirconia Ceramic Sandblasting Spray Nozzles will be packed in a bubble bag individually, then separated by a foam, finally put in standard export carton packing, or OEM packing. Shipped by Air ( DHL, TNT, UPS, Fedex, EMS ), or Sea transportation. Mingrui is a professional factory with years OEM experience in manufacturing industrial ceramic parts. 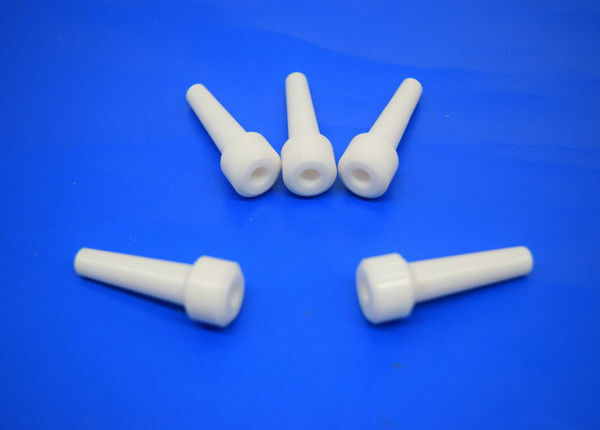 We produce (OEM ) strengthened structure zirconia and alumina ceramic rod, ring, tube, shaft, plate, sleeve, bushing, washer, valve, plunger, pin, nozzle and ceramic arm, etc., they are applicable to instruments, medical instruments, clocks and electronic products, mills, energy and power, machine and metals, autocar and military, spaceflight and some other high-end fields. One-stop production, from the raw material powder to final product.